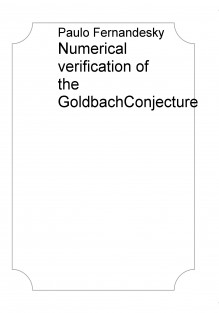 The Strong Goldbach conjecture, GC, dates back to 1742. It states that every even integer greater than four can be written as the sum of two prime numbers. Since then, no one has been able to prove the conjecture. The conjecture has been veriﬁed to be true for all even integers up to 4.1018. In this article, we prove that the conjecture is true for all integers, with at least three diﬀerent ways. In short, this treaty has as objective show the proof of GC, and presents a new resolution to the conjecture. Knowing that, these inﬁnities establish other groups of inﬁnities, in a logical way the conviction for the method and idea of proving it, we stand and separate these groups to prove, not only a sequence, but the whole embodiment of arithmetic properties called here as groups, as well as its inﬁnity conjectured for centuries.